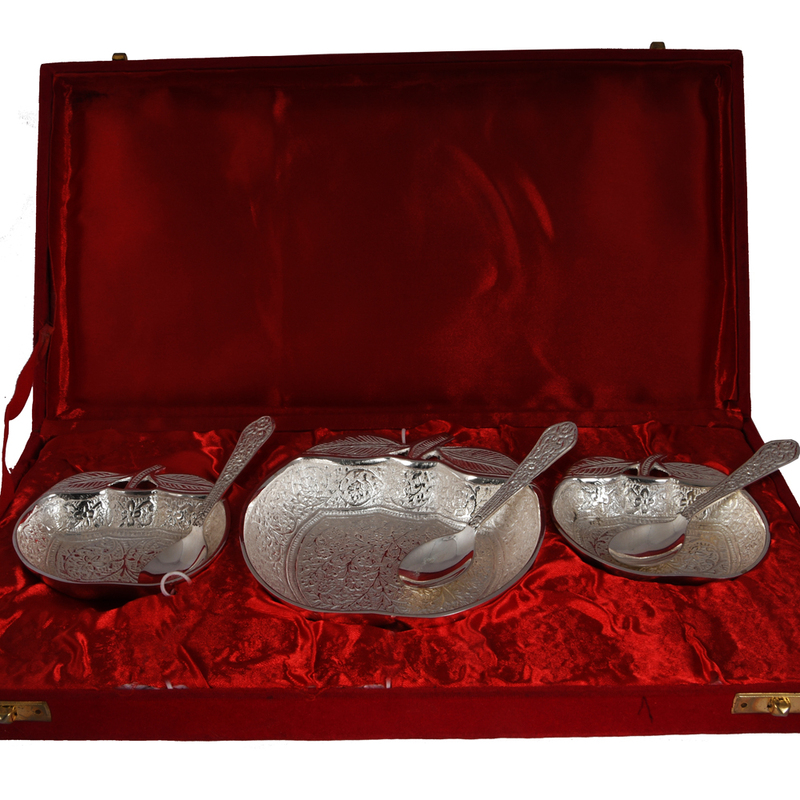 This 3 peiece set of apple shaped bowls are made entirely from german silver. The bowls not only has the shape of apples, but the Read More..top of the bowls also has the design of an extended twig. The bowls inner side is covered with engravings, but the outer side has none. The spoons also have engravings along the length of the handle. 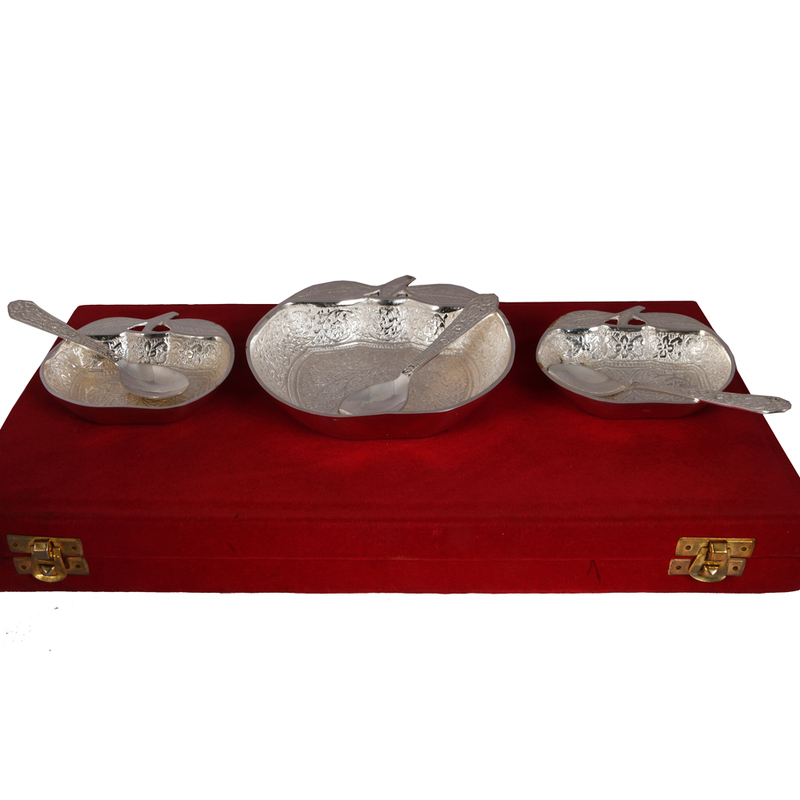 The quality of craftsmanship can be easily assessed by anyone, as the finishing of these bowls are quite superior. The bowls come in a box so that they do not get dirty when they are not in use. Show Less..